There’s a lot to be excited about come Thanksgiving, even after you get through the big day—and have your fill of turkey, potatoes, and pie. Because other than a crisp and golden bird, the last weeks of November brings something else to the table: Black Friday. It’s also known as the one day of the year you can make impulse purchases sans guilt—OK, with minimal guilt. After all, you’ll need to reward yourself for serving up a thoughtfully curated menu that pleased the kiddos, the vegans and the carnivores in your extended family. Didn’t cook? You can still pat yourself on the back for a job well-done outsourcing dinner to the cousin who claims to love toiling away in the kitchen. Lucky for you, when it comes to shopping, Newport Beach offers a buffet of options. Whether it’s to check Christmas gifts off your list early, or to score a little something for yourself, this round-up of shopping destinations are well worth getting off of the couch for. If there’s ever a good time to join the early-risers’ club, it’s on Black Friday. On Nov. 23, the stores at Fashion Island will open their doors at 8 a.m., two hours ahead of their regular schedule. As Newport Beach’s premier shopping destination, this open-air lifestyle center is filled to the hilt with all sorts of shops—from Neiman Marcus to Restoration Hardware and everything in between. Once you’re done with the morning shopping marathon, nosh on a delicious lunch at one of the many eateries in the area—like Fig & Olive or CUCINA enoteca Newport Beach, to name a few—and then head over to the courtyards between 12 – 4 p.m. The Neiman Marcus/Bloomingdale’s courtyard will come alive with performances by the Orange County School of the Arts’ Jazz Band, while The Christmas Belles will serenade shoppers with carols in the Nordstrom Courtyard. Also, Macy’s courtyard promises snowfall, in true holiday fashion. This quaint and very stroll-able retail destination plays host to a slew of fashion-forward boutiques and waterfront eateries that are sure to warrant your attention. On Black Friday, you can shop Planet Blue, where you’re likely to spy California-cool labels like Amuse Society, For Love and Lemons and We Are Hah at 20 percent off (exclusions apply to certain styles) Friday-Monday. In other words, this is the ideal opportunity to stock up on knitted cold-weather garb and snag a frilly dress or two just in time for that New Year’s Eve party. What’s more, Cos Bar—purveyor of luxury cosmetics and skin care products—will reel you in with a $40 gift card for every $200 you spend. It’s a hard-to-pass-up offer, considering the goodies they’ll be unveiling. (Think: Holiday giftables from brands the likes of Nest and Bobbi Brown.) Last but not nearly the least, grab some new fitness apparel at Sweaty Betty, which will be offering 30 percent off storewide from Nov. 23 – 26. When all the shopping wears you down, hunker down for a midday bite at Zinqué or Circle Hook Fish Company. 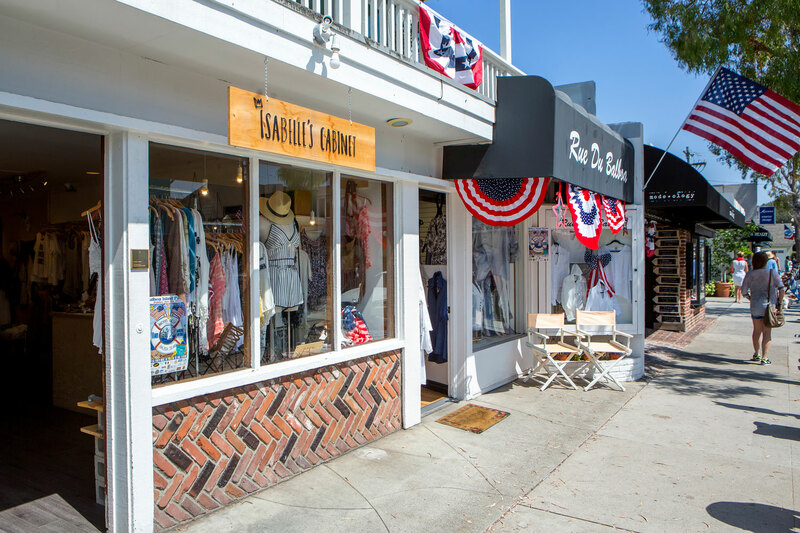 If you’re looking for a different kind of shopping experience, one that’s a little more laid-back and casual, make your way to Balboa Island. Although Black Friday isn’t as big of a tradition in this corner of the city, the picturesque street, lined with an eclectic mix of boutiques with a hometown flair, is just as perfect for perusing as it is for purchasing. A few businesses do take note of the holiday, though. 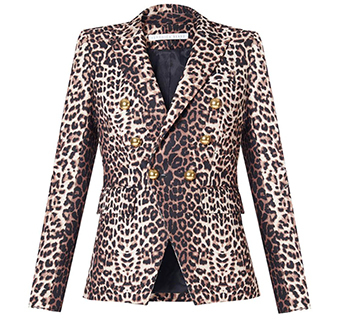 Isabelle’s Cabinet, for example, will open its doors early (at 7 a.m.) and feature a 20 percent off sale—with the exclusion of jewelry and vintage items—on the 23rd. For a perfect handcrafted gift, wander into Laura Matthews Designs, where you’ll find an assortment of jewelry made with crystals and semi-precious stones, as well as handbags and clothes for anywhere between 20-30 percent off on Black Friday. Whenever you get the hankering for lunch, pop into one of Balboa Island’s many culinary fixtures like Mr G’s Bistro or Wilma’s Patio Restaurant. Sometimes it’s easier to hit the checkout button online, especially when springing for new pans and utensils. But there’s something to be said about shopping at a physical store. Got tots? Leave the babysitting to Sur La Table. On Black Friday, from 10 a.m. to 12 p.m., the culinary supplies heavy hitter will be throwing a little ravioli-making class for children aged 8-12, which will give you plenty of time to shop around. If you’re looking for home goods with homespun comfort, swing by SoHa Living to pick up a gift that’s more Aloha and less Merry Christmas. The coastal-chic retailer will open at 7 a.m. and kickstart the day with a 30 percent sale, with the discount percentage dropping throughout the day. Drop in at VICI for a mystery sale before stopping for a breather and a meal at Gulfstream.